Industrial facilities are known for their reliance on heavy-duty machinery. From large vehicles like stock chasers to other forklifts, storage shelves, and conveyor belts, equipment in these facilities weigh a hefty sum. Naturally, this means these places need flooring strong enough to withstand such heavy loads. 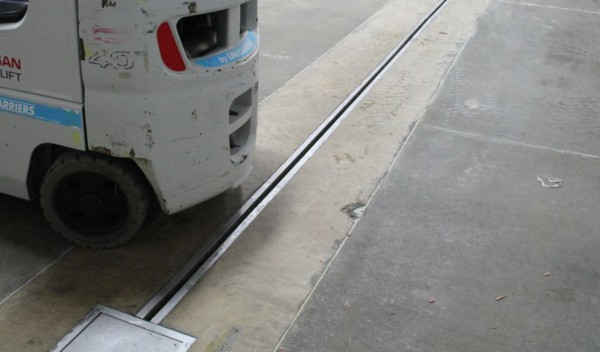 To go along with the heavy duty flooring, facilities also need to have a heavy duty, traffic rated trench drain that can also withstand such weight. But, there are certain issues to keep in mind when it comes to choosing the right drainage system for your facility. Different kinds of facilities have different needs. You want to ensure that the material you choose for your drainage system works for your specific facility. For example, food and beverage facilities will want to ensure that their drainage system is made from a nonporous, highly resistant material like stainless steel. Since it is a nonporous material, bacteria cannot cling to stainless steel, making it resistant to the growth of mold and other contaminants. Stainless steel is also corrosion resistant, allowing for the use of strong chemicals without the risk of damaging the drainage channel. It is also capable of withstanding extreme high and low temperatures, which makes it an incredibly versatile material for drainage systems in various kinds of facilities. The main purpose of grates is to help protect the drainage channel from foreign objects from falling in or having people and equipment trip over the drain. But the truth is that grates are somewhat problematic. 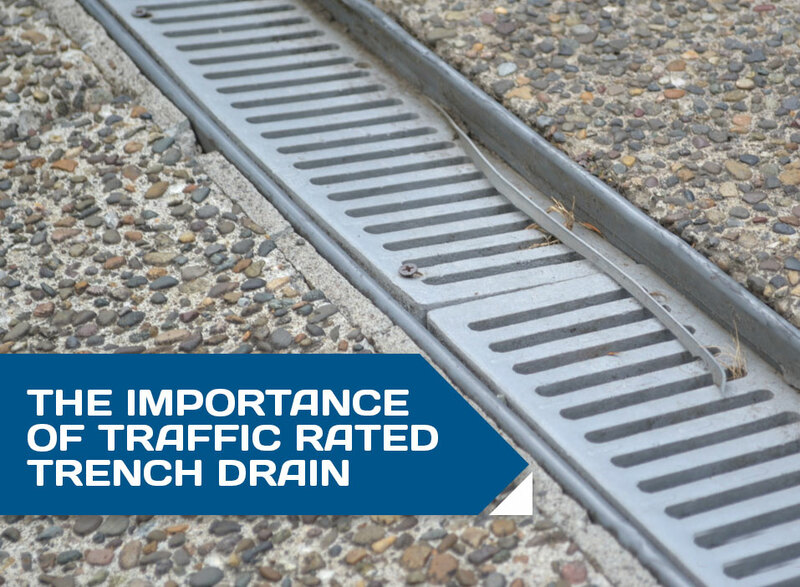 For one, regular drainage grates are not made for use with a traffic rated trench drain. These grates are much more fragile and can easily break under heavy loads, which creates a major safety hazard. While there are options for heavy-duty grating, these grates are incredibly expensive. They will also sill deteriorate over time and require replacing after a while, which simply adds to the already high cost. There is a lot that goes into maintaining a drainage system. To keep it in proper working order, you need to pay attention to the maintenance needs of the system. You should clean the drainage system at the end of each workday. This is especially important if you work in a facility that deals with food and beverages, where there is a major concern for potential bacteria growth and contamination. Grated systems require extra care when it comes to cleaning and maintenance, as the grates need the same kind of attention as the actual channel. However, these grates are incredibly heavy and workers can easily become injured if they try to remove a grate incorrectly. In the past, you has no choice but to rely on these grated drainage systems for your facility. But, those days are gone thanks to the newer and innovative Slot Drain System, the perfect traffic rated trench drain for your facility. 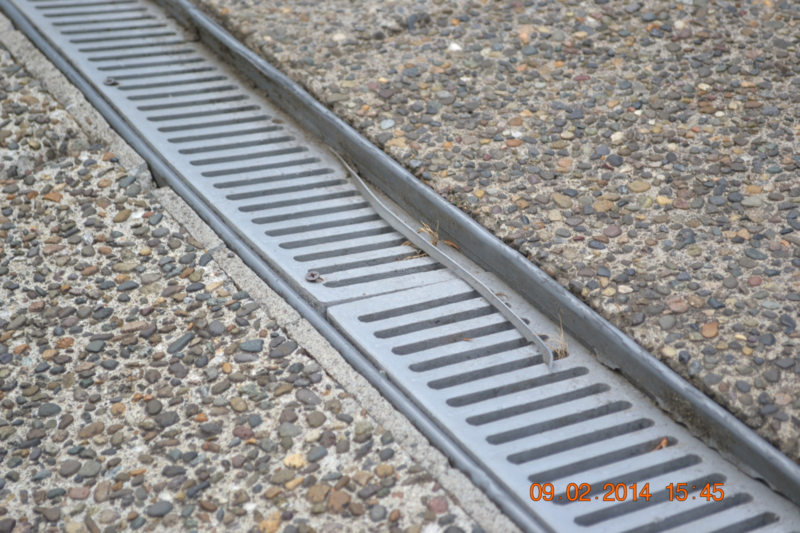 The biggest benefit to choosing the Slot Drain System for your facility is the lack of grate covering. 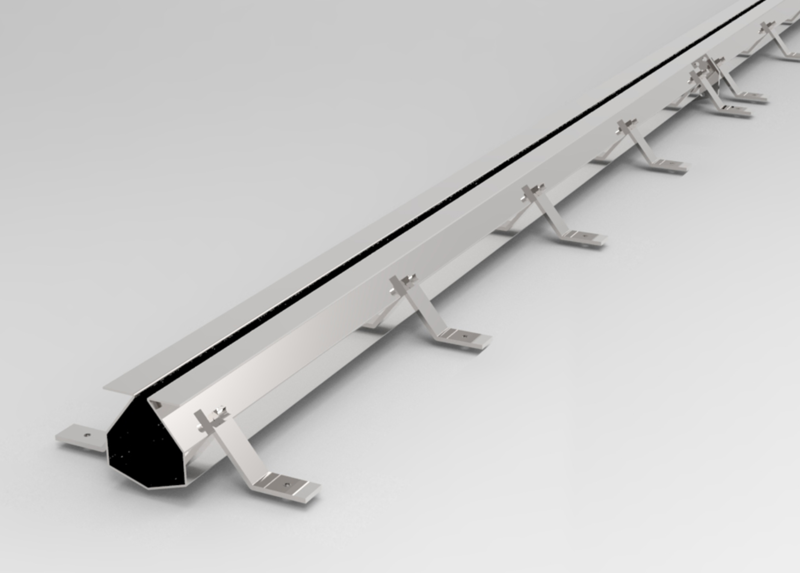 The Slot Drain System is designed in such a way that the channel opening is slim enough to not require a grate covering to protect the drain channel. Another factor that makes the Slot Drain a great system, particularly for industrial facilities, is its ability to handle heavy loads. The system comes in various levels of strength, going beyond Class F loads, which is usually necessary for places like airports. 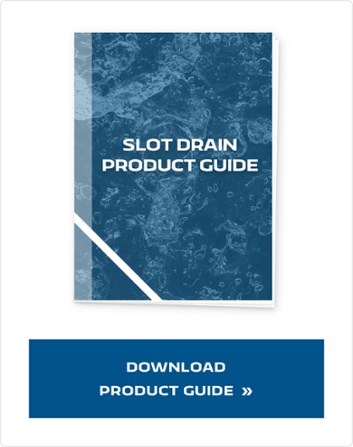 The Slot Drain System also has the option of a food-grade stainless steel, which meets the strict standards of the FDA and USDA. This makes the System highly durable, bacteria and corrosion resistant, as well as resistant to extreme temperatures. Finally, the Slot Drain System is much easier to clean than other types of drainage systems on the market. This is partly because there is no grate to remove beforehand. Then it is just a matter of pushing brush and paddle through the drain body, moving sediment and waste to the catch basin, which his an easy-to-empty strainer basket. 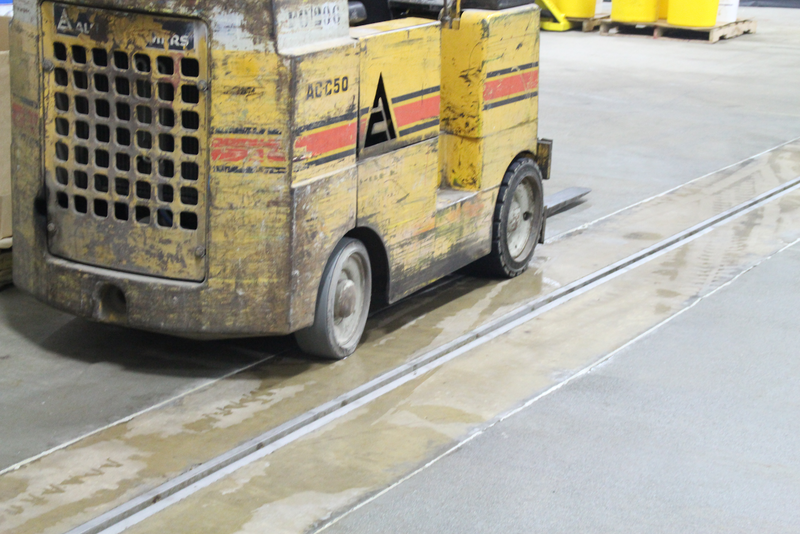 When it comes to industrial facilities, it is critical to have a reliable traffic rated trench drain system in place. This will allow you to easily clean and wash the facility, equipment, and vehicles without the worry of standing water damaging anything. The right drainage system will also work well with your facility and serve all of your needs, particularly in terms of the weight it can withstand. The more weight it can take, the less you will have to worry about it breaking during use. It is essential that you take the time to assess your facility’s drainage needs so you choose the right one. The Slot Drain System is a great option when it comes to traffic-related trench drains for any kind of industrial facility. It is a strong, durable, grate-free system that will fit any type of drainage needs without breaking the bank.